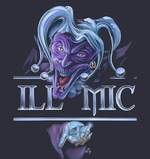 Sign up for Broadjam today to follow ILL MIC, and be notified when they upload new stuff or update their news! This single is SOLD OUT. Released in June of 2002. Released March 2004 'mutt' is compiled of 10 tracks that show a lot of depth and growth for the band as well as solidifing their diversity. 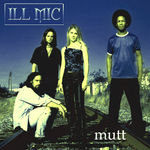 ILL MIC's S/T Debut has 13 tracks that were compiled over the bands first 2 years of existence. Released in Oct 2001, influences range from Rage Against the Machine to the B52's and everything inbetween. Like I want you to. And we?ll take it slow. And we can be friends. Are you pisces or a virgo? Let?s take it and run. That I?m a dope fiend? Would you like to play my skin flute? Can we be lovers? Or maybe friends? Did you call me a freak? What good is a girl without a guy? What good is the sun without the sky? What?s the use of a raindrop? Who cares if the world stops? If the valley is not deep as the mountain high?